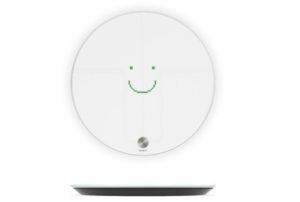 As our team continues to explore the phenomenal new technology on the horizon, featured at CES this year, we have additional suggestions on how to incorporate select items into your normal home life, room by room. 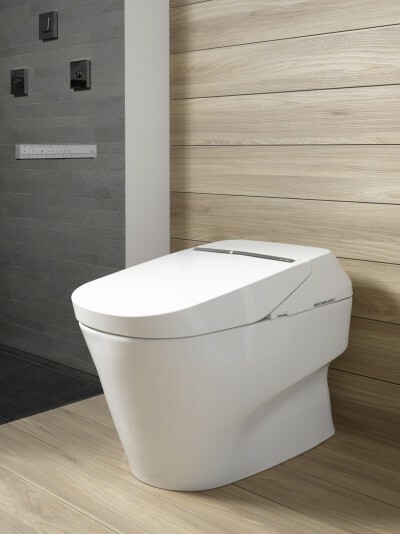 From the NEOREST Suite, TOTO is presenting the best for bathrooms at CES, like a sneak peak at the NEOREST Wall-Hung Toilet with Actlight. This beauty offers auto open/close and auto flush, in-bowl catalytic deodorizer, a UV light in the toilet’s lid, integrated personal cleansing system, Pre-Mist and eWater+ technology. Plus, it boasts a hidden in-wall tank system which saves up to nine inches of room space, making it perfect for smaller powder rooms too. We expect this fixture to be brought to market in 2017. Of course having a scale in your bathroom is a no-brainer, but one that goes beyond displaying your weight to also providing your BMI and body composition certainly makes life a lot easier. The Qardiobase scale does so much, even exceeding expectations by showing smiley or frowny faces instead of simple numbers, alerting you of whether you’re meeting or missing your weight-loss goals. There are built-in data-sharing features too, all set to begin shipping in the spring. Face visualization pioneer ModiFace unveiled a new mirror that shows you what you’d look like with a brand new look. 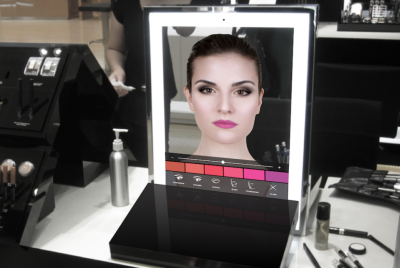 It’s called the ModiFace Mirror HD and brands are already signing up to have their products take part (including Allergan, Jane Iredale and L’Oreal). Not only can users change their makeup, but they can also whiten their teeth, change their eyebrows and eye color or even reverse the signs of aging. Such a fun addition for the perfect spa oasis bathroom , while also preventing you from wasting money on unflattering cosmetics. 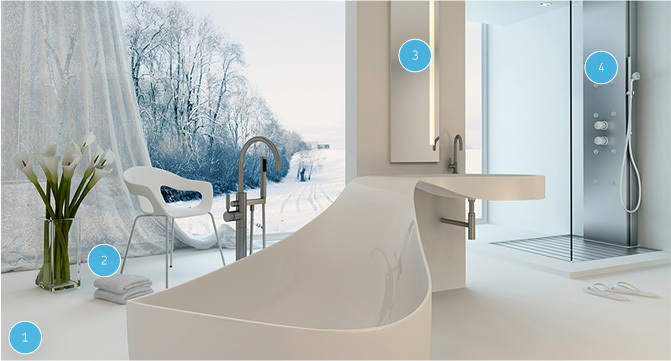 According to French firm Smart & Blue, on average we use a staggering 80-liters of water for a single shower. 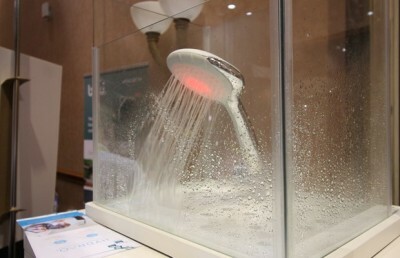 Enter the Hydrao Smart Shower, which features built-in LED lights that change depending on the amount of water used. A green light indicates you’ve used 10-liters of water. A flashing red light indicates you’ve used 50-liters. So, you can look forward to enjoying a soothing shower while also conserving water! And Hydrao can be fitted to any conventional shower hose, doesn’t need a battery (since it’s powered by the flow of water) and links to iOS or Android apps via Bluetooth (allowing you to choose your water limit, colors and track your progress/savings). Updating or transforming your bathroom into a mini spa is a worthy investment … in yourself! We hope our picks inspire you.